Whether your blog is brand new or already established, you can never have enough traffic. 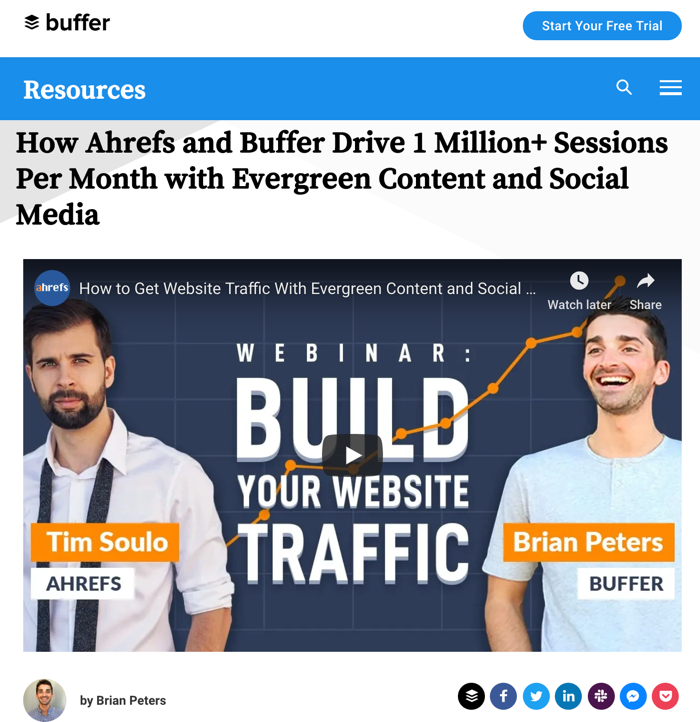 I work at an SaaS company called Ahrefs, and even though the Ahrefs blog pulls in over 200k organic traffic every month, we still experiment with ways to promote our blog and bring in more traffic. It’s 2019. 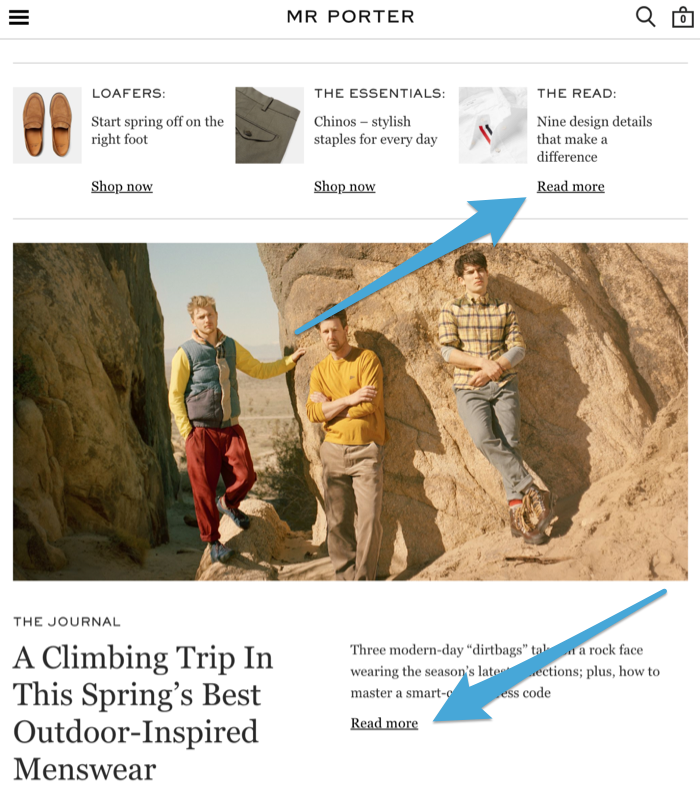 Simply sending an email blast to your subscriber list doesn’t cut it anymore. 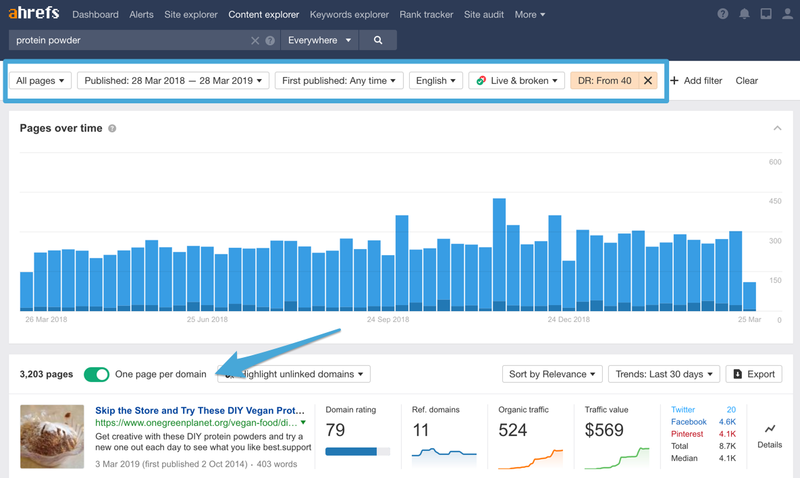 If you’re stuck coming up with new ideas for how to promote your blog, here are 9 tried-and-tested tactics that have worked for us. Let’s start things off with the buzzword of the year: podcasts. Thanks to their flexibility (you can listen to them while you’re at work or when you’re on the go), they’re the most popular form of audio content. They’re also widely available on services like iTunes, Google Play, and Spotify. Their audiences are incredibly engaged. 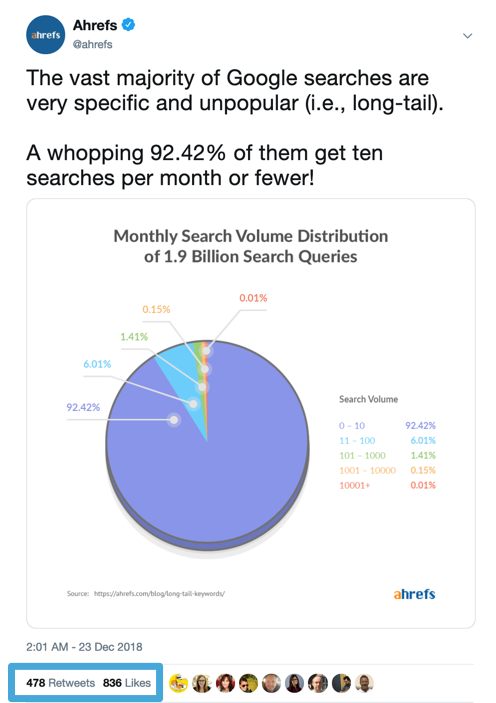 Ahrefs has had great success with sponsoring podcasts (paid advertising) as well as guesting on them — that is, sending a member of our team to be interviewed on a show. 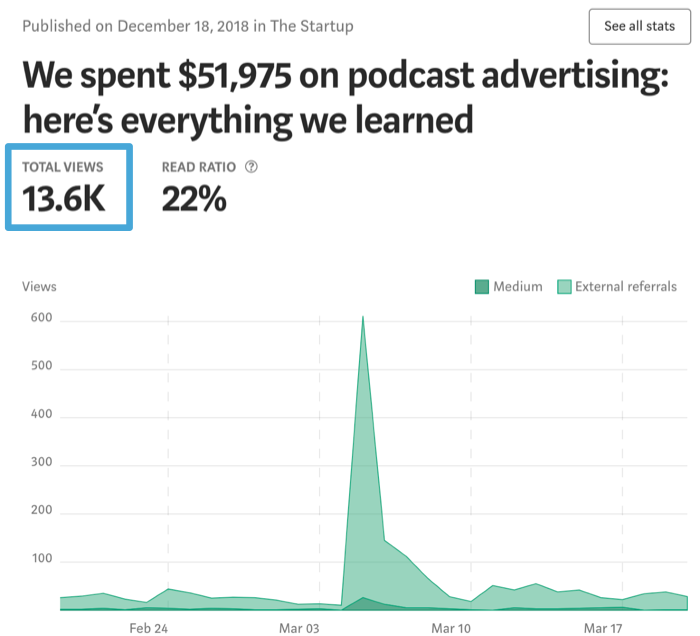 For sponsoring podcasts, think of this tactic as a type of influencer marketing. Your job is to sell your blog to the podcast host and the podcast host’s job is, in turn, to sell your blog to their audience. 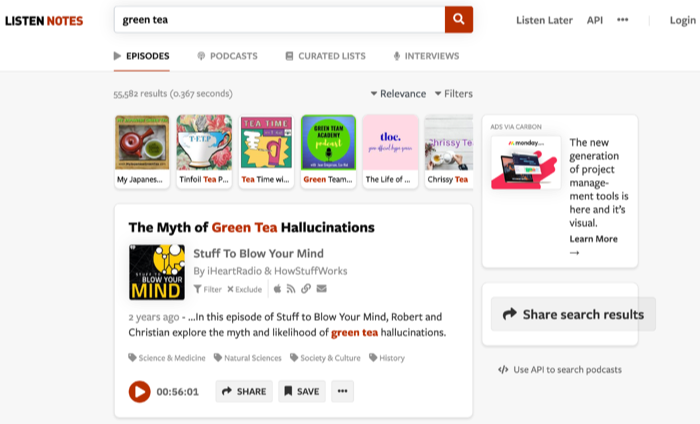 Try using a specialized podcast search engine like Listen Notes. Browse the shows and pick your favorites. Once you’ve created a list of targets, you’ll need to contact the podcasts and inquire about sponsorship details. What are their pricing packages? What dates do they have available? Are there any gotchas? Prices can range from $50 to $5,000 and beyond per episode, so work within your particular budget. This includes your ad copy, delivery, and any other deliverables like your blog’s logo and elevator pitch. The goal is to get the podcast host to sound like a fan and regular reader of your blog. If anything is off, be sure to let the podcast know as soon as possible! 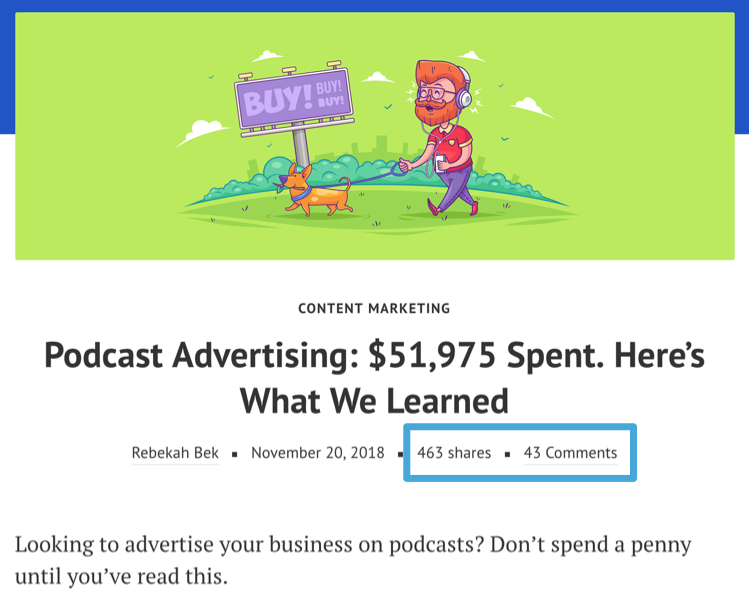 If you’re strapped for cash (or simply don’t want to do podcast advertising), another approach is to appear as a guest on podcasts. This is usually free — unless you’re approaching extremely-popular podcasts, which tend to charge a one-time appearance fee. The catch is you’ll need some kind of credibility to your name. In other words, you’ll need to convince the podcast host that you’re someone their audience would love to listen to. Use Listen Notes or a similar tool to create a list of podcast targets. Often, podcasts will explicitly state on their websites whether or not they accept interview requests. And if they don’t accept interview requests? Ask anyway. Send in your pitch and convince them you have lots of value to add. Whatever the process, remember to be courteous and respectful — you’re a guest, after all. Just don’t forget to mention your blog! Appearing on podcasts is one of our favorite promotion strategies here at Smart Blogger — as evidenced by our appearances on EOFire, James Altucher, Duct Tape Marketing, the Write Podcast, and Loz James’ Content Champion. Show up early to the interview so the host has time to do a sound check. Don’t use your phone or your laptop’s built-in microphone; instead, invest in an external microphone. Quality and price points vary, but you can get a simple microphone that plugs into your computer’s headphone jack for the price of a medium pizza. Use headphones to cut down on echoes. Turn off all notifications and, if you can, shut your door to minimize background noise. Sure, you can publish tons of absolutely amazing posts on your own blog. But if you never extend your reach, whether it’s by growing your list of email subscribers or boosting your number of social media followers, your audience will be limited. So what do you do if you don’t have time to create promotional content and extend your reach? 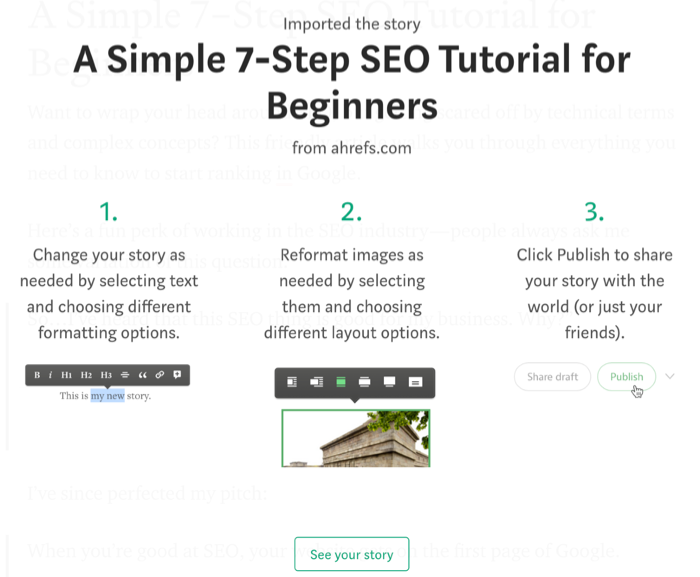 Republish your existing posts on blogging platforms like Medium. Your content will be seen by a whole new audience — some of which will then visit your blog and discover all the great content you have to offer. 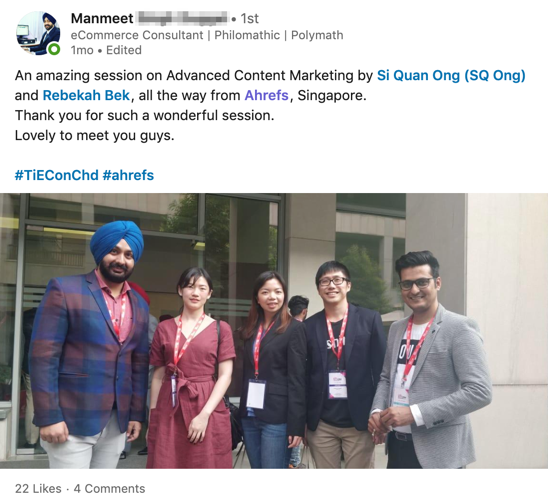 It got 463 shares and 43 comments — very decent engagement considering the fact that the topic likely didn’t appeal to our blog’s core audience (people interested in search engine optimization). In a bid to push the post out to a wider audience, we republished it on Medium. It turned out to be a fantastic decision. That’s 13.6k views in total, with 22% of readers actually finishing the whole post. Plus, the Medium publication of this post averages a steady trickle of 10-30 readers every day. Note: For the SEO-conscious among us, Medium uses canonical tags when you use their republishing tool. So no worries about duplicate content issues. Ideally, pick one of your top performers (since it’s already proved it’s popular). 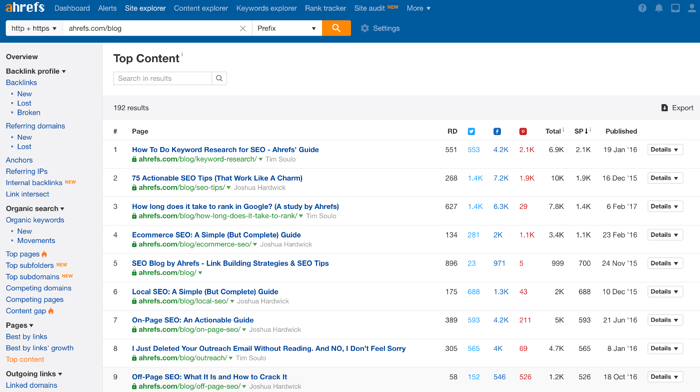 You can use a tool like Ahrefs’ Top Content report in Site Explorer to see which of your posts have the most shares on social media. Since they’ve proven themselves on social media, these posts are the most likely to resonate with audiences beyond your blog’s existing one. 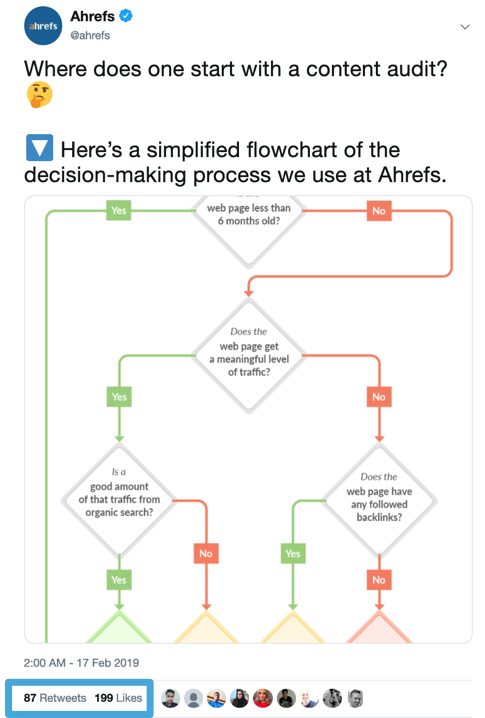 Though they aren’t nearly as detailed, there are a few free tools to track social media shares if you aren’t an Ahrefs customer. Enter the URL of your post into the Medium import tool and hit “Import”. 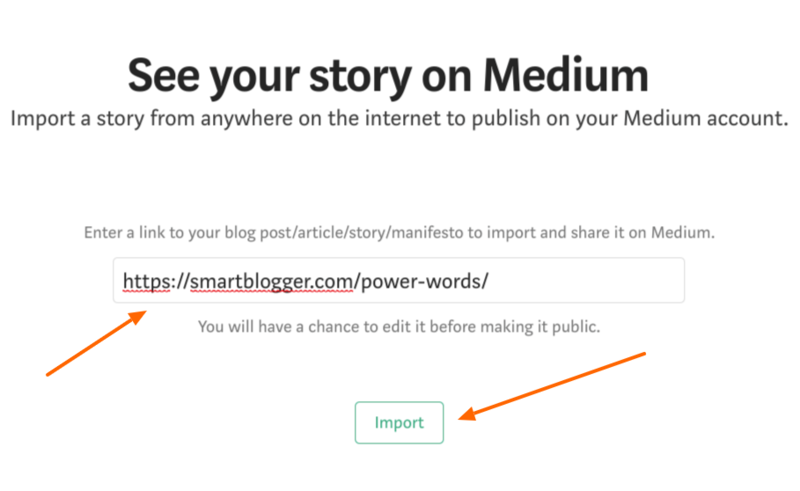 Follow Medium’s guidelines to format and polish your post, then click “Publish”. It’s 2019, and promoting your blog posts on social media is by no means a new strategy. BUT — there’s more to social media promotion than pasting a link and clicking a “Tweet” button. These tweets received amazing engagement, but we actually spent very little time creating them. We achieved this ROI by working smarter, not harder. The great thing about social media content is it’s all fleeting. Even if an idea is a flop, it’s easy to turn the page and try the next idea. A method for grouping similar ideas into categories. To brainstorm ideas, get a pen and paper (or launch Google Docs, Microsoft Word, etc.) and jot down things you would like to try. Get as creative as you want. Think memes would be popular with your audience? Write it down. Believe infographics or inspirational quotes could be successful? Write them down. Believe posts or tweets on Topic X or Topic Y could receive high engagement? By listing all of your ideas, you’ll then be able to group them into categories. This will help you track which categories are successful and which are not. You can use social media management tools like Buffer and MeetEdgar to schedule your content and keep it running automatically. Once your social media posts begin making their way into the wild, you’ll be able to track their progress. Do some receive more comments, while others receive more shares and retweets? Are some more popular in the mornings, while others receive more engagement during the evenings? All data, both good and bad, will help you in the next step. After an appropriate amount of time has gone by, hold a review. Drop the categories that didn’t perform well. Keep the ones with potential and refine them. 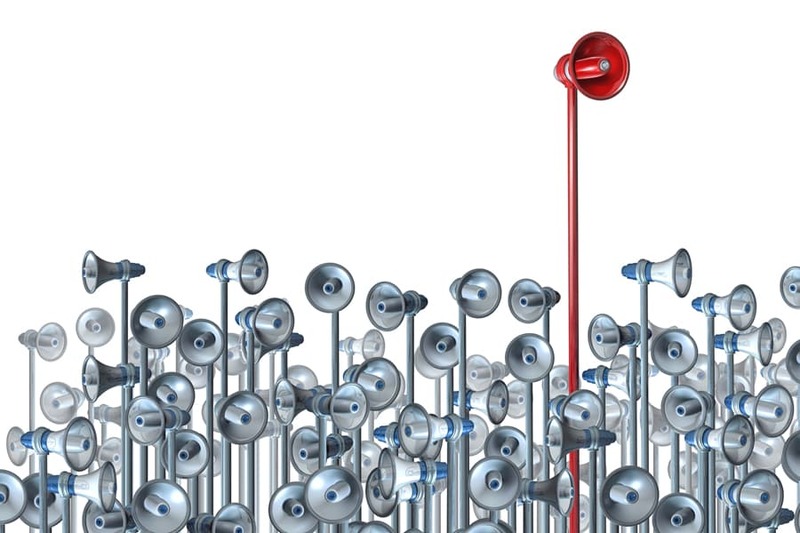 You want to focus on the categories your audience likes and tweak them. Do they like emojis, or do they gravitate towards a more “serious” tone? Do they like infographics, or long chunks of copy with statistics thrown in? From here, keep repeating steps 1-3 until you’ve locked down the type of content your audience loves. And once you’ve figured out what they love, keep giving it to them. If you want to try advertising, the above process will save you some serious money. Pick your top organic performers from Step #3 and put money into promoting them. Since they’ve already proven themselves to be popular, this is a safe and effective way to buy ads to promote your blog (without wasting time and money on losers). The perks of this strategy pretty much sell themselves. Your post naturally gains backlinks and social shares. So… what’s a roundup post, anyway? Essentially, a roundup post features a compilation of answers to a single question, ideally by established experts in the field. A great roundup post adds immense value to readers since they offer a range of expert opinions in one place. Plus, they tend to bring in lots of traffic since the experts featured in them will often share the post with their own audiences. If you ask too much of the experts you’ll be polling, most won’t have time to participate (even if they want to). And if you ask a question they’ve heard (and answered) a million times, most won’t be interested. Your question needs to be clear, succinct, and something that will appeal both to your readers and the experts you’ll be asking to participate. Once you’ve crafted your question, it’s time to create your influencer wish list. These are the influencers (“experts”) you’ll be asking to participate in your roundup post. Since not everyone will respond to you, reach out to significantly more experts than you need. For example, if you need 20 people for your roundup post, reach out to 40 experts (or more). A roundup post is only as good as the people you feature. 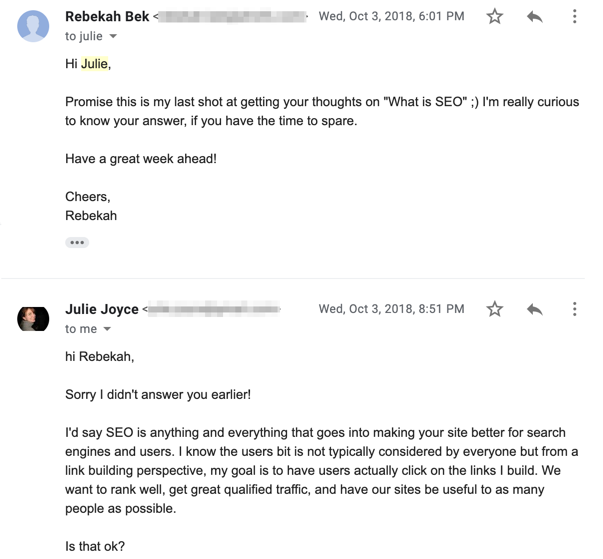 While it takes exponentially more time and effort to get a response from a more recognized name in your industry, it’s likely worth it. With that said, don’t expect the Michael Jordans of your industry to respond to your outreach — try to find people with a reasonable level of influence who aren’t complete titans. 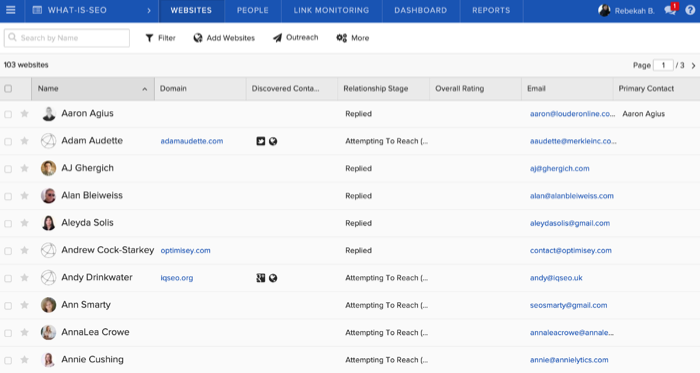 You can use specialized tools like BuzzStream or Mailshake to streamline the entire outreach process by making it easier to hunt down email addresses, batch send messages, and conduct follow-ups. There’s a chance your first email will slip past the expert you’re trying to reach. After all, they’re very busy and likely receive dozens (or hundreds) of emails every single day. However, please don’t follow-up more than once — any more than that and you’re just being a nuisance. At this point, you’ll have a bunch of answers ready to sift through. Now all you need to do is turn them into a cohesive post. Try to find trends in the responses and sort them into sections. Next, add your own introduction to each section, as well as your opinion on why certain trends occurred. This is how you put your stamp on the roundup post and make it your own. Once your post is published, it’s time to let everyone know about it. Email everyone who responded to your outreach emails (whether they ultimately contributed to your post or not) and thank them for their time. Include a link to your post, and be sure to send them well-wishes. You can also ask them (politely) to share your post with their audience, but this is often implied. 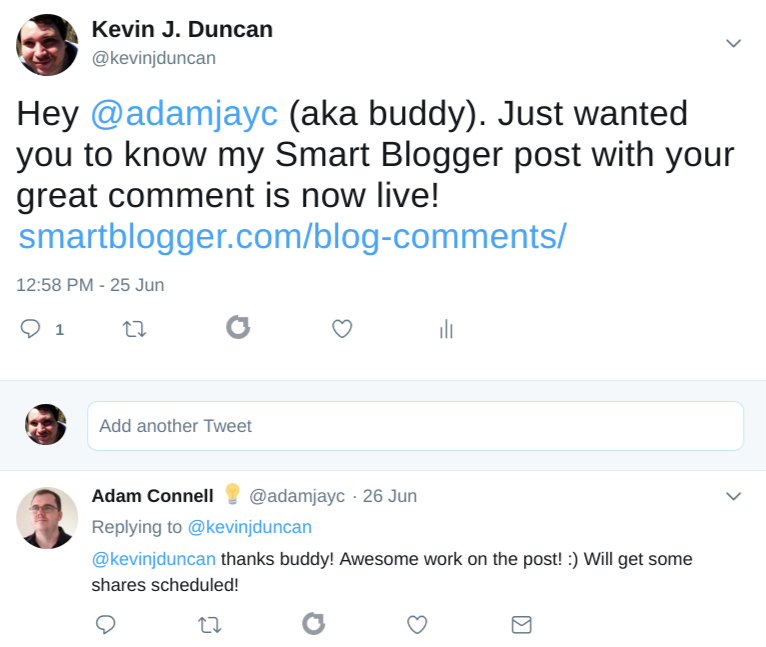 Want to let influencers know your post has been published and promote the post at the same time? In addition to emailing them, tag the influencers on Twitter too. While all blogs are digital in nature, your promotional efforts aren’t limited to the digital world alone. Approach a local event in your niche and pitch yourself as a speaker. It doesn’t matter where you are in the world or how big the event is — it could even be a small meet-up session. The idea is to reach out to new people and give the work you do a huge visibility boost. If you’re not sure where to start, look around on Reddit, Facebook groups, or Slack groups and join some communities in your industry. Chances are good people are organizing and promoting events in these communities. Make a list of potential targets, underline your favorites, and move on to the next step. When pitching yourself, propose some topics that you’d be comfortable speaking about and explain how your content will add value to their audience. Hopefully it goes without saying, but you should know these topics very well. Note: If you have no experience with public speaking, it’s a good idea to start small. Save the conference keynote speeches for later. Try to deliver as much value as you can and position your blog as a great resource. This is also a good time to promote your social media accounts, which are ideally already geared towards driving traffic to your blog. Just be sure not to make it all about you. Your job is to teach, to impart your know-how to others. And when you’re able to do this well, promoting your blog will happen organically. Show up to the event, deliver your speech, meet lots of new people, and enjoy converting some new readers! Acquire a few testimonials (from people willing to vouch for you). There’s a lot more to it than we can unpack here, so be sure to check out Grant Baldwin’s post How to Get Speaking Engagements. In fact, browse his entire website, The Speaker Lab. It’s chock-full of helpful information. Most businesses have blogs that are completely disconnected from their main product. If you blog for a brand or business, why not align your messaging and integrate your blog posts directly into your UI (for software products) or in your product descriptions and previews (for e-commerce)? This lets you direct traffic over to your blog and gives your customers a more seamless experience. For software products, one way to notify people of your newest blog posts is to include a (preferably unobtrusive) in-app notification. Click the bell icon and we display a simple drop-down menu listing all our newest content. So simple, but so effective. If you have an e-commerce website and your blog posts are educational in nature, you can promote them directly on your homepage. Include a prominent link to your blog in your website’s navigation menu. 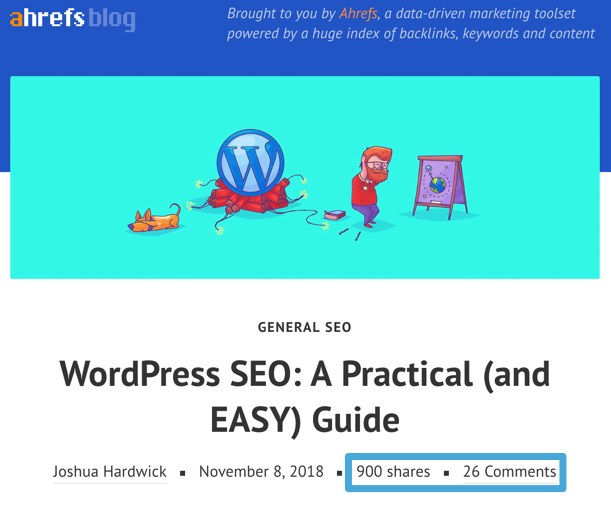 Ahrefs, MeetEdgar, Elegant Themes (affiliate link), and many other smart businesses feature their blogs in their navigation, which helps drive traffic to them. Creating content in collaboration with another blog means you’re able to tap into each other’s audiences and can promote yourself to a whole new set of blog readers. You can even split the work! Collaborating with blogs significantly larger than yours probably isn’t in the cards. However, collaborating with a site similar in size is definitely doable. Look for opportunities to work with blogs within the same niche as yours. Start by approaching bloggers you have an existing relationship with and ask if they’d like to collaborate. You should leave cold pitching as a last resort. In Content Explorer, enter a relevant keyword phrase in your niche. Set the “published” filter to “Last 12 months” and the “Language” filter to “English”. 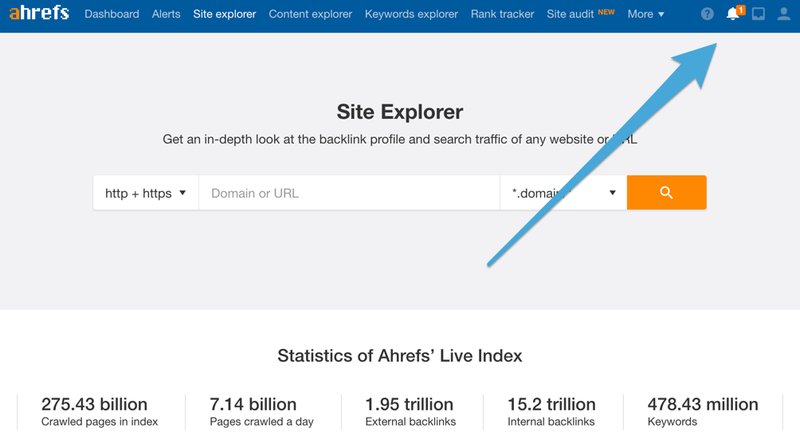 Next, highlight the “one link per domain” option. Finally, you’ll want to set one more filter: DR (“domain rating”). The higher this number, the more authoritative the website; however, the more authoritative the website the harder it will be for you to get the blogger’s attention. This will pull a list of active blogs in your niche. From here, just sift through the possibilities and pick the ones you’d like to approach. The process is pretty similar to advocating in-person: you need to make your best pitch. Focus on explaining why you want to work with that particular blogger, as well as how collaboration will benefit them. Feel free to suggest a couple of topics you feel would work well. Finalize your content with the blogger you’re working with and remember to stay prompt and gracious throughout. This is not the time to get pushy or rude and make an enemy out of a would-be ally. Promote the post to your newsletter and social media accounts. Make sure to tag and give credit to the other blogger too. 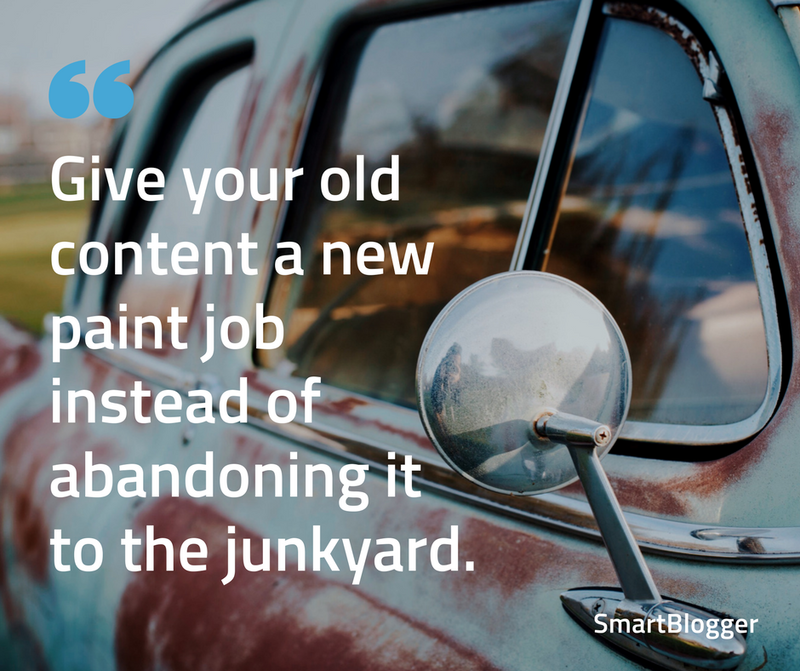 You’ve spent all this time and effort to create amazing content in the form of blog posts. Why not get more out of the same piece of content? 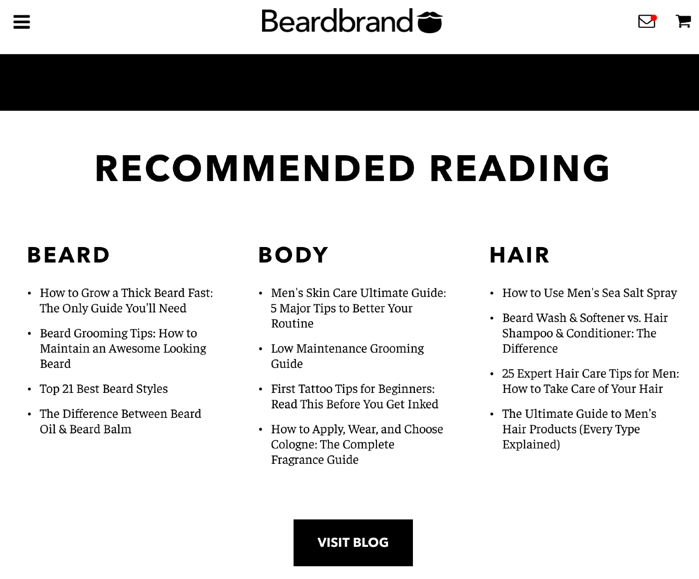 Since your customers hang out in multiple places online and have their own preferences when it comes to content formats, you should try to reach audiences beyond blog readers. And you do that by repurposing your content. Convert your blog post into a YouTube video. Or, do it in reverse. We published a YouTube tutorial on WordPress SEO. It has over 20,000 views and 70 comments — not too shabby. By re-creating our video in written form, we were able to reach an entirely new audience on an entirely different platform. We didn’t have to come up with fresh content for the post. We took what we already had and created something new with it. People talk about all sorts of things on the Internet, including your niche. If you monitor these conversations, you’ll get lots of chances to slide into the discussion, add value, and (subtly) promote your blog. Here’s a pretty meta example of this tactic in action. You can use a free tool like Google Alerts, or services like Talkwalker Alerts and Ahrefs Alerts. 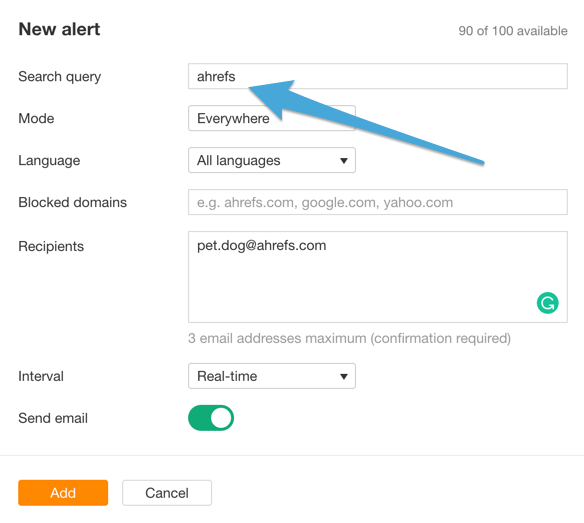 For Ahrefs, go to Alerts, Mentions, +New Alert, and enter your keyword you’d like to track. What these tools do is send you an email every time a keyword is mentioned on the web. From there, you can simply follow the link in the email to find out where you’ve been mentioned. Whether your mention comes in a blog article or a forum discussion, look for suitable areas where you can add value. For example, if you’re a food blogger and you receive an alert for a discussion of a restaurant, it’s your time to shine by talking about your own experience. It’s extremely important not to shoehorn yourself into conversations. If you’re clearly only there to advertise your own blog, people will catch on pretty quickly. So, be sure to link to your own blog strategically, and only after you’d added value to the discussion. 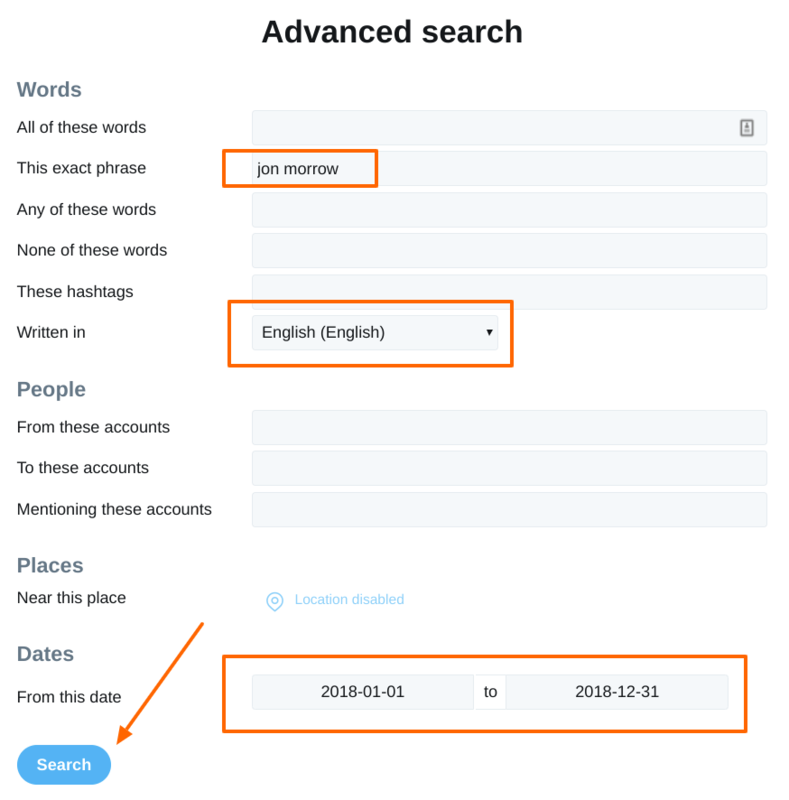 You can also track mentions using Twitter’s advanced search. 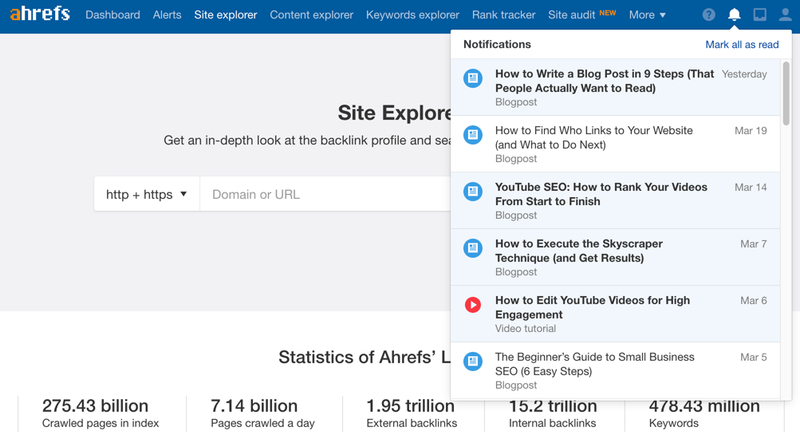 Use this feature to find keywords and mentions that matter to you, roll up your sleeves, and then get to work. The applications are nearly limitless. If you sometimes find yourself lying in bed at night wondering, “how do I increase my blog traffic?”, I feel your pain. I did my best to stay away from the more common methods of blog promotion, so hopefully you found something new to try. Of course, not all of the tactics we discussed will be suitable for, or will work for, your blog and your particular niche. You’ll need to experiment and find what works for you. When it comes down to it, marketing is always about experimenting — experimenting, failing, and going at it again and again until you succeed. Now, go forth and get that traffic! 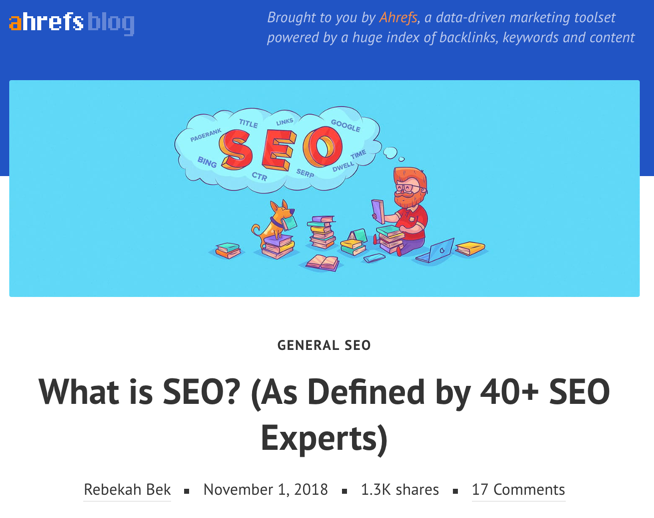 About the Author: Rebekah does marketing and writing for Ahrefs. She doesn’t sit still for long, so catch up with her on Twitter.